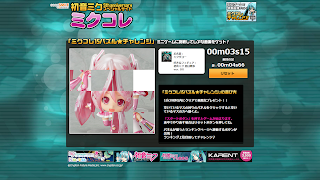 Miku Kore (Miku Collect), a special site opened by Good Smile Company to commemorate the 5th anniversary of Hatsune Miku, has started a special puzzle game where users can win themselves rare posters illustrations. 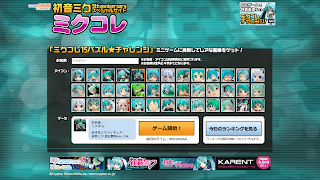 Players are required to input their desired nickname and choose an icon. 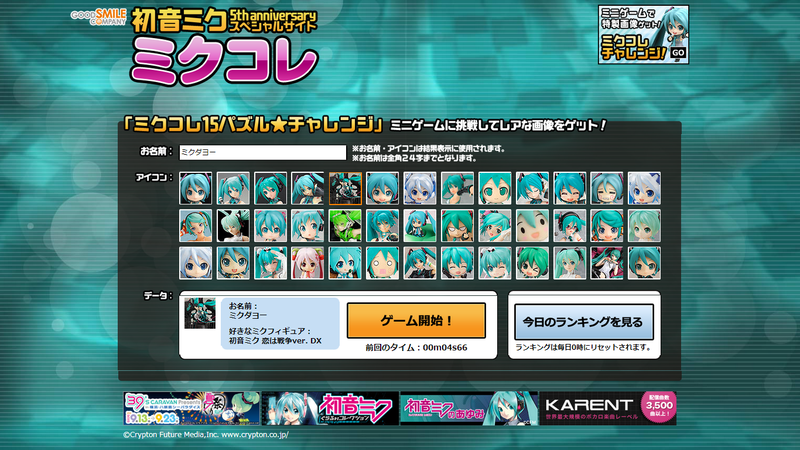 The icons are based on Hatsune Miku figures, phone straps and plushie. After you've done that, press the orange button to proceed to the next page! 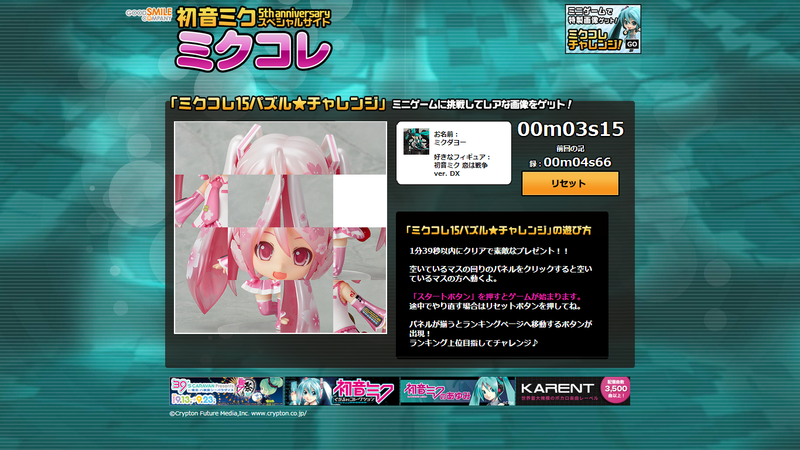 If you are familiar with mikubook's previous event, the first stage puzzle is similar to this puzzle. The only difference is that for you to acquire the posters, you will need to complete the puzzle within 1 minute and 39 seconds. 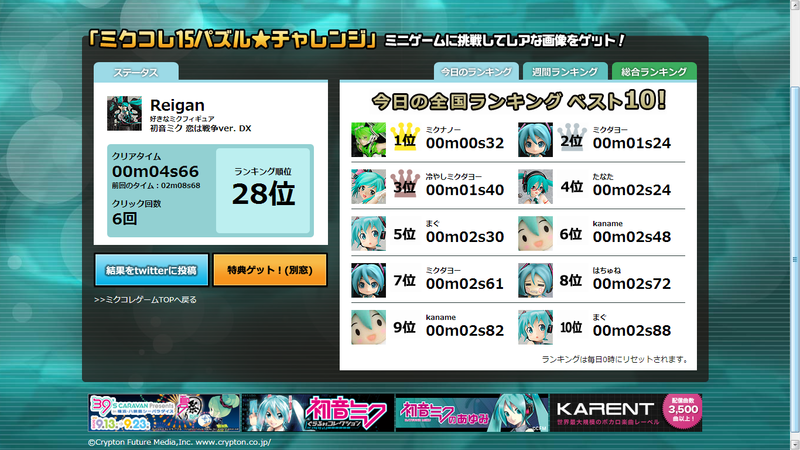 After completing the puzzle, you are brought to the rankings page. The rankings are reset at 0000 hours daily. If you completed the puzzle within 1 minute and 39 seconds, you can acquire your posters by clicking on the orange button.